For Crewe’s design and engineering teams, the new Continental GT coupe is an opportunity to set a bold and exciting direction for one of Bentley’s most revered names – the Continental. The seminal and highly successful Continental GT introduced in 2003 represented the first step in Bentley’s renaissance and defined a whole new market segment. It was a luxury GT offering excellent usability that remained true to the Bentley grand touring spirit. 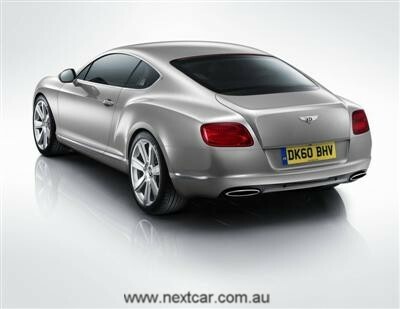 A beautifully sculptured new body gives the Bentley Continental GT coupe an even crisper, more defined appearance. The contemporary interior offers new levels of cabin design, comfort and hand-crafted luxury. The seats, for example, provide even greater support and rear legroom; a sweeping dashboard even more style and modernity. The new touchscreen infotainment system features state-of-the-art navigation, Google Maps and entertainment while the latest Balanced Mode Radiator speaker technology and Dirac Dimensions™ digital sound processing deliver enhanced audio quality. Bentley’s acclaimed 6-litre, 12-cylinder, twin-turbocharged powertrain now has a raised power output of 423 kW (567 bhp/575 PS) and 700 Nm (516lb ft) of torque and this is matched to a new Quickshift transmission which enables double downshifts. Thanks to advanced FlexFuel technology it can also run on both standard unleaded petrol and sustainable bioethanol (up to E85) or any mix of the two. In late 2011 an all-new, high-output 8-cylinder engine will also be available to order. This advanced power unit will deliver a 40 per cent reduction in emissions compared with the W12 engine and will offer a class-leading CO2 emissions-to-power ratio with Bentley levels of performance and refinement. Both engines are coupled to an all-wheel drive system with a sporty 40:60 rear-torque bias (compared with the 50:50 bias of the original Continental GT), minimising understeer during hard cornering and allowing the experienced driver to control the car’s line and balance via precise throttle control. 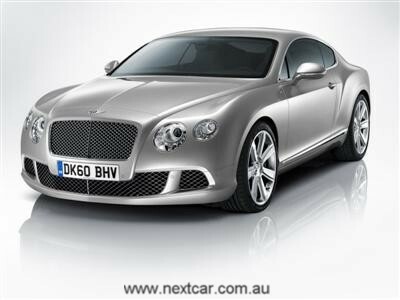 “The new Continental GT is an automotive work of art, with superb craftsmanship and elegant, contemporary design. It drives like a super car, but without the usual sacrifices in ride or practicality. It is a car that you can enjoy every moment of every day.” said Dr Franz-Josef Paefgen, Chairman and Chief Executive. Revolutionary Dirac Dimensions™ DSP for exceptional sound reproduction (Naim for Bentley premium audio). 6-litre W12 engine twin-turbocharged engine produces 423 kW (567 bhp/575 PS) and 700 Nm (516lb ft) of torque. New high-output, high-efficiency V8 engine due for release in late 2011. Inspired by the iconic Bentleys of the past, Bentley’s design team under the leadership of Director of Design, Dirk van Braeckel, has provided a thoroughly modern, sculptured body, built with advanced production technologies to ensure the highest standards of quality and body integrity. Aluminium Super Forming technology is employed to style the front guards and the boot lid. This process heats the aluminium panels to nearly 500 degrees Celsius before shaping them by air pressure. 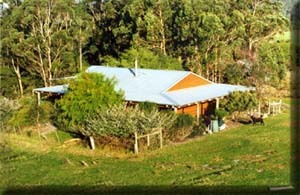 By using a single sheet of aluminium, no seams or welding are required. The latest body construction techniques deliver crisp, highly defined feature lines and form to every area of the exterior design. The familiar power lines and rear haunches – echoes of the original 1950s R-Type Continental – now have even sharper radii to provide highly distinct surfaces, bringing the feel of a truly coachbuilt car to the new coupe. The GT coupe’s new look is bolder than ever. The classic Bentley matrix radiator grille is more upright, while the new headlamp design, in traditional four-lamp format, has exquisite jewel-like detailing including eye-catching, LED daylight-running lamps. At the rear, Bentley signature ‘floating’ LED lamps extend around the corners of the guards, emphasising the new coupe’s width and purposeful stance. The track is wider by 41 mm at the front and 48 mm at the rear than the previous model. The bootlid design has a powerful ‘double horse-shoe’ motif, reminiscent of the new Bentley Mulsanne, while flared elliptical exhaust tailpipes reinforce the new GT’s sporting credentials. The shape of the new GT coupe’s body is also more aerodynamic following extensive wind tunnel analysis. In conjunction with a range of extensive underbody refinements (including wheel arch and exhaust aerodynamic aids) the GT’s coefficient of drag has been reduced to 0.33Cd and the lift at the front and rear axles has also been reduced to enable greater stability at higher speeds. The new GT is specified with 20-inch alloy wheels as standard, with, for the first time on the Continental 'family', the option to upgrade to 21-inch designs. Three styles of wheel are offered – a 20-inch five-spoke version and two 21-inch Elegant and split-rim Sports variations, which come in a variety of chromed and painted finishes. “The new GT coupe has an even stronger sporting character than ever before. It is an exceptionally refined and comfortable 2+2 Grand Tourer but with the heart, soul and looks of a super car.” indicated Dirk van Braeckel, Director of Design. With an entirely hand-crafted interior, the Continental GT’s cabin sets new standards in refinement and luxury to provide a stylish space in which up to four people can relax in total comfort. The instrument panel and dashboard subtly echo the flying wings of the Bentley motif and are fashioned from the highest quality soft-touch leathers. New touchscreen technology and chrome-bezelled dials are housed within this dynamic cockpit area, which rises from the centre console in the form of dramatically surfaced ’wing’ buttresses. The striking and unique ‘Cobra’ design seats are supremely comfortable thanks to the introduction of the latest body-supporting materials which use complex foams to provide softness at first touch but with excellent support over longer journeys. The seats can be specified with front-seat ventilation as well as a state-of-the-art massage system with 10 individual massage cells and individual side airbags are provided as standard for all passengers. Front seatbelts feature a new electrically-operated automatic presenter, making buckling-up effortless. Driver knee airbags are standard fitment. The new Continental GT offers superb everyday usability. The new slim-line front seats with scalloped backs also provide a further 46 mm of legroom for back-seat passengers and easy access to the rear cabin. The cabin is trimmed with soft-touch leathers, a full range of wood veneers, cool-touch metals and deep-pile carpets – all hand-crafted in Bentley’s unrivalled workshops at the factory in Crewe, England. The attention to detail even extends to applying a UV stabiliser to the wood veneers to protect from bleaching, thus ensuring they can be enjoyed as new for decades to come. Every leather hide is still sewn under the watchful eye of Bentley’s highly skilled craftsmen and women. By incorporating ingenious, angled ‘ramps’ behind the leather, the interior designers have provided sharp, well-defined styling lines, while maintaining a soft-touch. Perhaps the most stylish new storage device in the new Continental GT is the exquisitely designed, folding, removable case designed to hold items such as keys and pens and which can also be slipped into a pocket or bag. Crafted from veneers to match those of the coupe’s interior, the case (available as a cost option) is finished with inlaid Bentley wings, satin-chromed and leather-lined, and is secured in a recess above the twin drinks holders in the centre console. 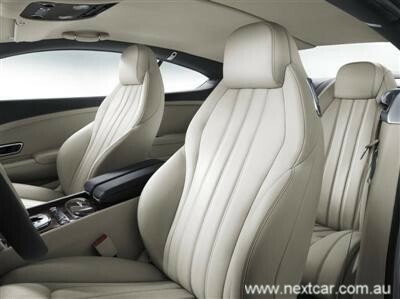 “The new GT coupe interior combines form, practicality and innovation. Our task was to translate the original design sketches for the car’s cabin – which were quite extreme, almost revolutionary for a Bentley – into the final design. The result is a cockpit that moves the Continental GT on to the next generation.” said Darren Day, Senior Designer. The 8-inch screen displays the car’s audio system, telephone, ride and comfort settings and the very latest navigation system, which uses both an in-car hard-disc drive and a DVD player to access route data. It also employs dynamic navigation to guide you around areas of heavy traffic, finds destinations using geo-tagged photos from an SD memory card and is Google Maps-compatible (market specific). The infotainment system, with 7 digit postcode entry, uses a combination of touchscreen controls and classic knurled rotary switches to offer instant usability and crystal-clear feedback. The graphic interface of the screen is engineered in-house to ensure its visuals are completely in keeping with the style of the interior. Look closely and you will see that the knurled switches on the screen are ‘virtual’ echoes of the knurled switches below. The Bentley Continental GT’s new infotainment system also provides the ultimate in in-car audio entertainment. An eight-speaker sound system is offered as standard employing the latest Balanced Mode Radiator technology. These unique compact, flat-panel speakers provide exceptional clarity with a very wide frequency range. An 11-speaker Naim for Bentley system – made exclusively for the Continental GT by British audiophiles Naim – employs revolutionary Dirac Dimensions ™ digital signal processing. This industry-first technology makes a virtual ‘sound field’ independent of speaker layout to deliver concert hall-quality sound reproduction for every occupant wherever they may be sitting. The Continental GT coupe also benefits from telephone and music player connectivity, digital television (where available) and DVD movie playback. Music can be played and controlled directly from an iPod® as well as from a six-disc CD changer, SD card reader or directly from the car’s hard-disc drive, which can store up to 15GB of music. The Continental GT is set to have a choice of two very distinctive high-performance engines. In addition to the new 423 kW version of Crewe’s renowned 6.0 litre W12 powertrain, a new high-output 4.0-litre V8 engine option will be introduced in late 2011. The new 4.0-litre V8 engine honours Bentley’s environmental commitment to deliver a powertrain that achieves a 40 per cent improvement in CO2 emissions. The new V8 is being designed specifically by Bentley’s engineers to deliver all the exhilarating power and torque synonymous with the marque. The new Crewe-built engine will also offer a class-leading CO2 emissions-to-power ratio. At launch, the new Continental GT coupe is powered by the latest evolution of Bentley’s acclaimed 12-cylinder, 6-litre twin-turbocharged engine, now calibrated to provide even greater performance, thanks to increases in power, torque and fuel efficiency. Designed in a unique ‘W’ configuration, it is the most compact and technologically advanced 12-cylinder engine in the world. Four camshafts and 48 valves allow the engine to breathe effortlessly and help to generate the distinctive Bentley wave of torque. It is also capable of running on petrol (gasoline), E85 bioethanol or any mix of the two – all from a single tank. In 2008, Bentley announced a far-reaching environmental programme that included a 15 per cent improvement in powertrain efficiency and the adoption across the Bentley model range of FlexFuel technology by 2012. Bentley’s FlexFuel models are capable of delivering potential CO2 reductions of up to 70 per cent on a ‘well-to-wheel’ basis – the measurement of CO2 released by a fuel from its production (well) through to its combustion or deployment (wheel). To ensure that the power and torque generated remain constant (whatever the fuel) an advanced Fuel Quality Sensor continuously monitors the ratio of the fuels used. It then guides the Engine Control Unit to adjust the engine’s timing. This provides the seamless power delivery for which Bentley engines are renowned, and ensures there is no compromise on performance when using fuels that emits lower CO2 emissions. Further revisions to the new GT coupe’s engine include low friction, lightweight components which allow the W12-format engine to rev even more freely, while the latest engine management system and twin, low-inertia turbochargers are optimised to ensure minimal turbo lag. Overall, the GT coupe is 65 kg lighter than its predecessor thanks to reductions in all areas of the car from engine components through to new seats. With its power/torque output raised to 423 kW and 700 Nm – the result is a 6 per cent improvement in the new GT’s power-to weight-ratio, making it capable of accelerating from zero to 0-100 km/h in 4.6 seconds with a top speed of 318 km/h. Positive torque during downshifts is achieved through engine and gearbox electronic controller interaction for extra throttle and fuel injection during the overrun, replicating manual throttle ‘blips’ for precise rev matching. During transmission upshifts, fuel and ignition are cut momentarily to give faster mechanical shift times through torque reduction, also improving shift quality and durability. “The W12’s extra power and torque and Quickshift transmission endow the new GT with instantly accessible super car performance across the complete rev range. At the same time, Bentley’s pioneering use of FlexFuel technology underlines our ongoing environmental commitment.” said Brian Gush, Director, Chassis and Powertrain, Engineering. The new GT’s chassis delivers the optimum ride and handling balance. The wide front and rear track benefits agility and handling, while solid aluminium cast-forged, high-stiffness front suspension uprights and aluminium gravity die castings at the rear work in conjunction with a redesigned front anti-roll bar and retuned spring and damper settings. The result is improved response and stability at all speeds. Continuous Damping Control (CDC) constantly monitors the car’s attitude and poise. By adjusting the suspension settings hundreds of times a second it can provide a remarkably supple ride at low speeds and increased control as speeds climb. It can also lower the car in ‘V-Max’ mode for enhanced stability at the highest speeds. Throughout Bentley’s history, iconic grand tourers have forged the marque’s reputation. In the 1950s the beautiful R-Type Continental set new standards of performance and style. In 2003, Continental GT revolutionised the luxury coupe market, combining super car performance and dynamism with remarkable everyday practicality. “We’ve distilled nearly 90 years of engineering excellence into the new Continental GT coupe. It represents everything Bentley stands for: breathtaking performance, beautiful design and unparalleled quality, comfort and luxury.” said Dr. Ulrich Eichhorn, Member of the Board, Engineering.